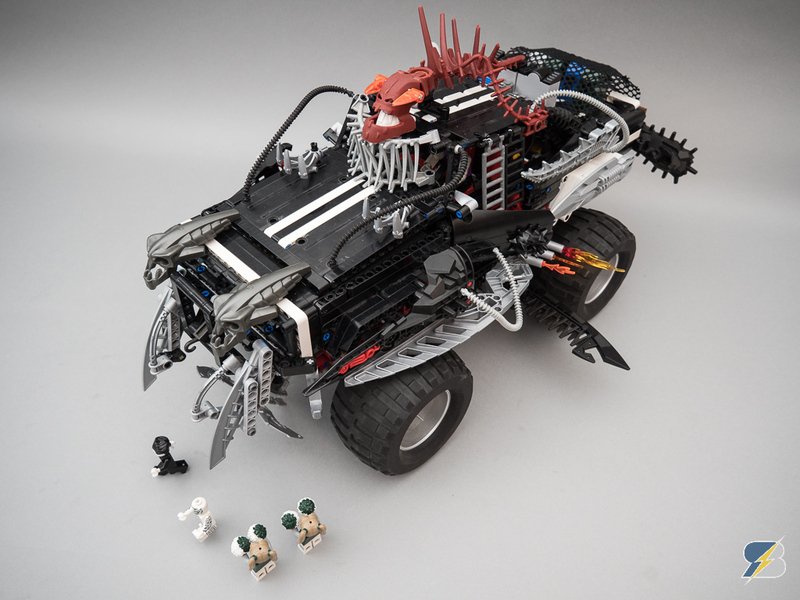 A spooky Lego animation with zombies, vampires, mummies and a heavily armed & customized Lego Technic 41999 4X4 Crawler. The idea was to use my custom-built Lego Technic 41999 4×4 Crawler and a huge box of Lego Bionicle parts and have some Halloween fun 🙂 There are 3 custom motorized functions on the crawler, the spinning front blades, the alternating side blades and the rear spinning swatter / mallet combination. There are 2 manual spring activated blades in the front as well.